I love a good throw pillow. And recently, I wanted to sew a couple more for my living room. As a household that has two dogs (that we allow on our furniture), I’ve noticed the throw pillows that have a removable cover tend to last longer for us because I can either throw them in the washing machine as needed, or if the pillow has a delicate fabric, I can get them dry cleaned. So I knew I wanted to sew a zippered throw pillow so I could remove the cover as needed. 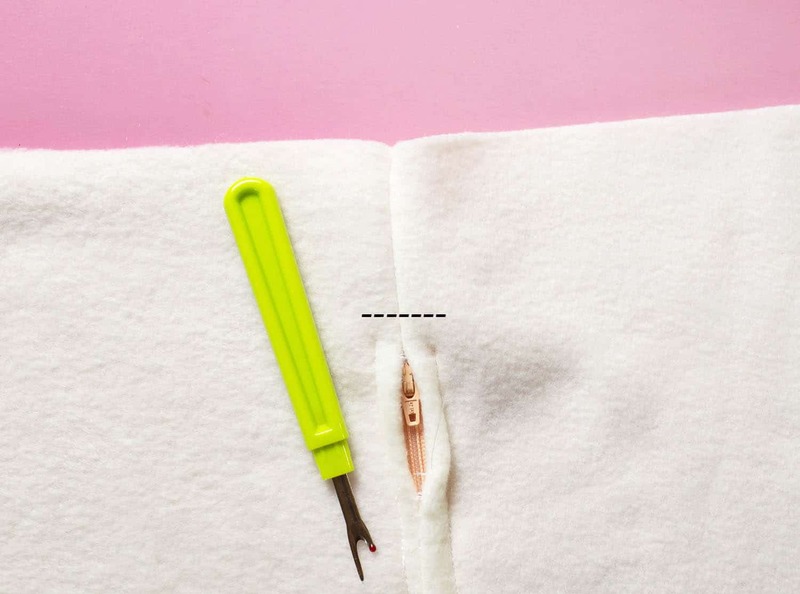 And I thought I’d share the process, because I know adding a zipper to anything used to intimidate me, as I’d consider my sewing skills low to intermediate (leaning toward low … ha). 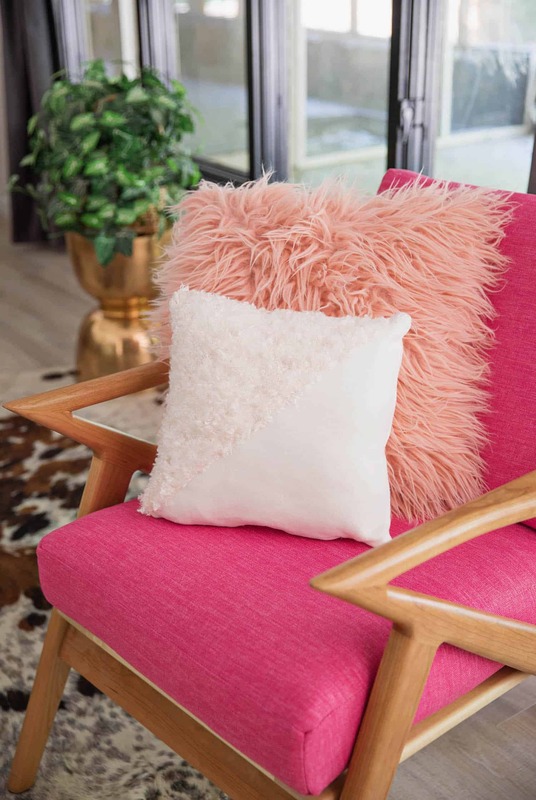 Also, because I know you might be curious, my pink armchair is from Joybird (as well as my sectional). You can see them more in my living room tour if you’re interested. 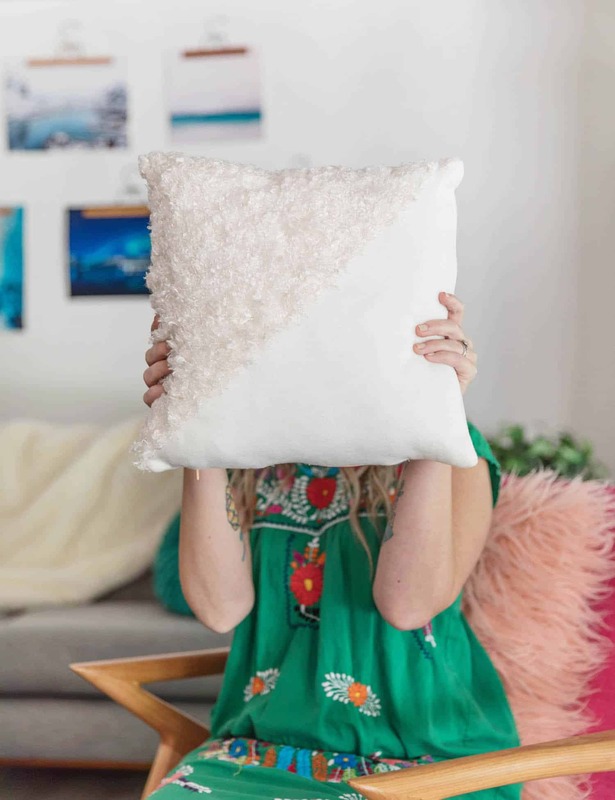 I’m going to share how I made this throw pillow. 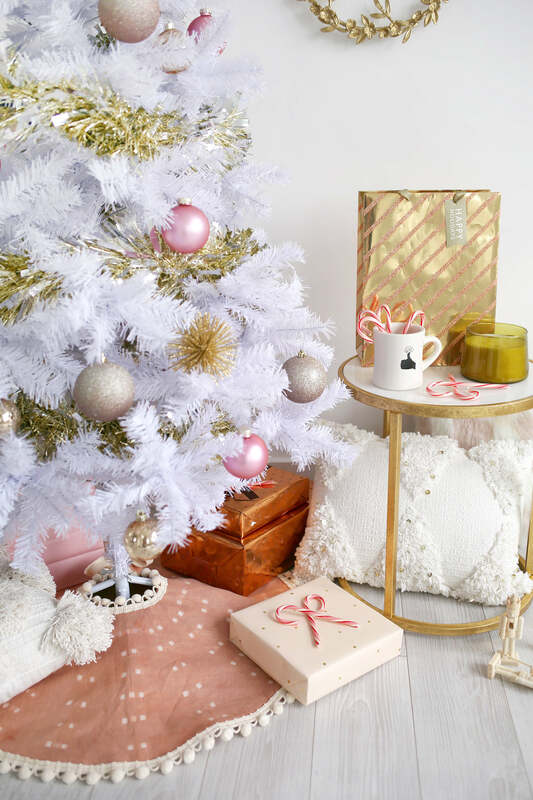 It has a fuzzy fabric paired with cream felt. The fuzzy fabric was a little tricky to work with (another challenge I gave myself) but I love how it turned out. 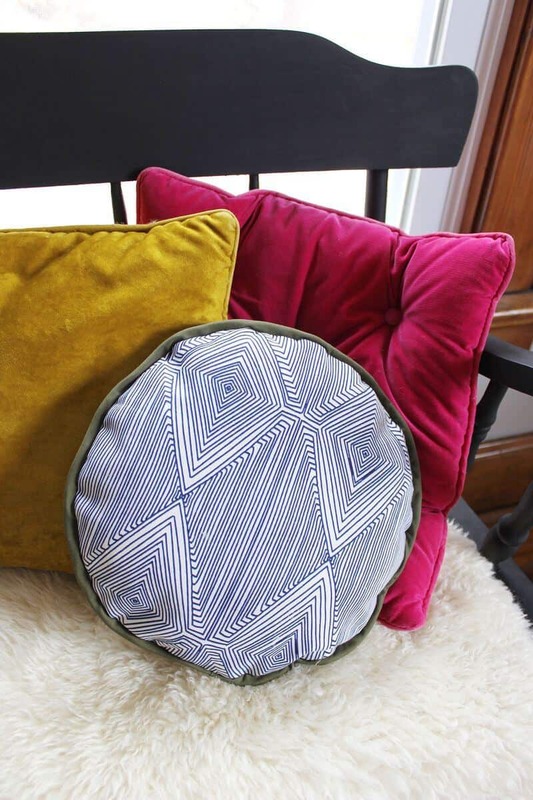 But the steps for adding a zipper could work on any throw pillow—it doesn’t have to have this specific design. Also, if you’re thinking a zipper just isn’t the look you want, you could always make an envelope pillow instead. 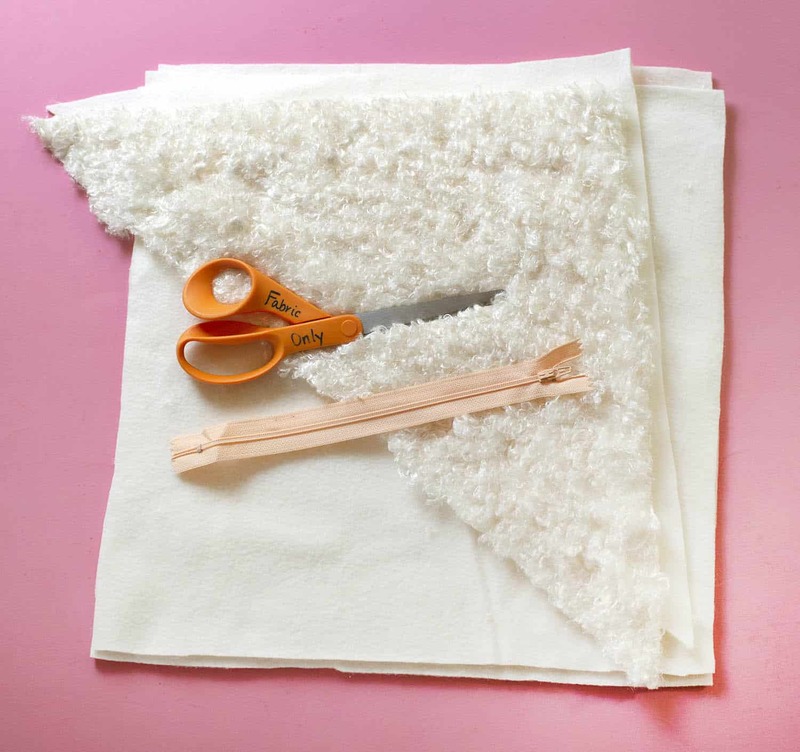 How much fabric you need will depend on the size of pillow you want to create. I love a mix of larger and smaller throw pillows. I usually pick out my pillow insert first and then base my pillow size on that. 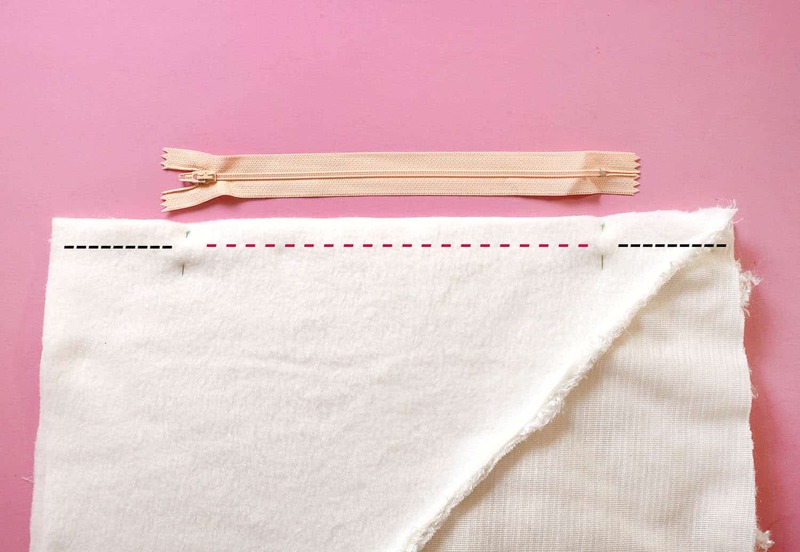 You’ll want your fabric to be 1-2 inches bigger (depending on how much seam allowance you like to work with with) than the final size you plan to sew. Step One: Cut out the front and back pieces of your pillow. 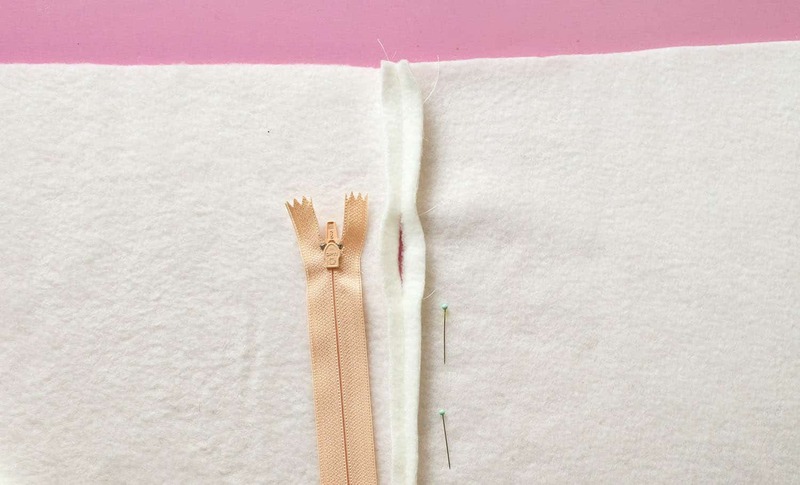 If you plan to have a front piece with two different fabrics (like mine), then cut those, pin them together so the outsides are facing each other (see photo), and stitch together. 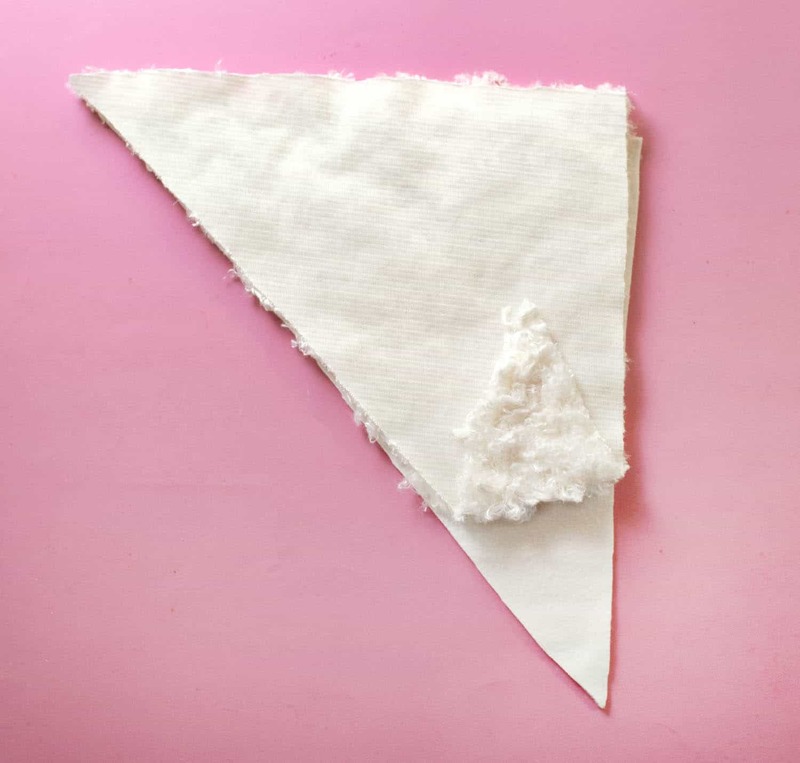 Depending on the type of fabric you are working with, you may want to go ahead and iron or press out your seams once you’ve stitched this. Step Two: Lay the two pieces of your pillow on top of each other, so the outsides of the pillow face each other (see how the fuzzy side of my fabric is facing in). Add two pins where the zipper will go and then loosely pin the sides together. Stitch up the areas that will not contain the zipper normally (in black in the photo above). Then add a looser stitch (that will be easier to seam rip out later) to the zipper area. 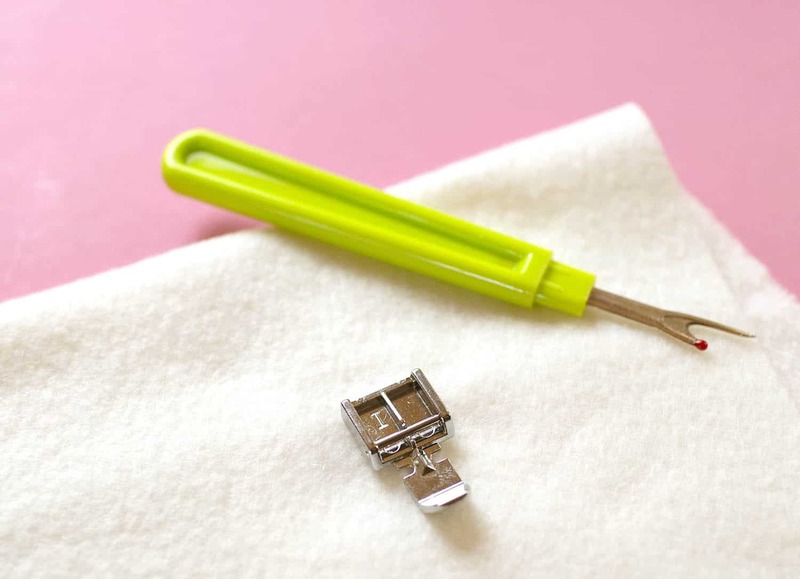 Press open this seam using an iron if your fabric allows—otherwise just press it open as best you can. Step Three: Pin the zipper over the zipper area (sewn together with the loose stitch) being sure to pin the zipper in upside down (see photo). I also leave small holes between the two different stitches so I can see it better and know where to place my zipper. Step Four: Attach your zipper foot to your machine. Here’s what mine looks like, as I have an EverSewn Hero sewing machine. Then sew the zipper in place. Step Five: Seam zip the loose stitch, which will reveal your sewn in place zipper. Then add a few stitches (switching back to your regular sewing foot as we’re done with the zipper) to the top and bottom of the zipper (shown in black in the photo above). Step Six: Stitch up the remaining sides of the pillow. Cut off a small piece of each corner (this helps with the shape). 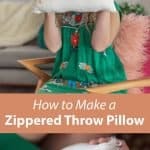 Then flip the pillow inside out using the zipper opening. Add your pillow insert and you’re done! Credits // Author: Emma Chapman. 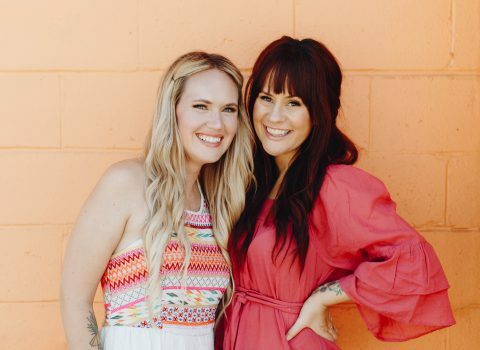 Photography: Janae Hardy and Emma Chapman. 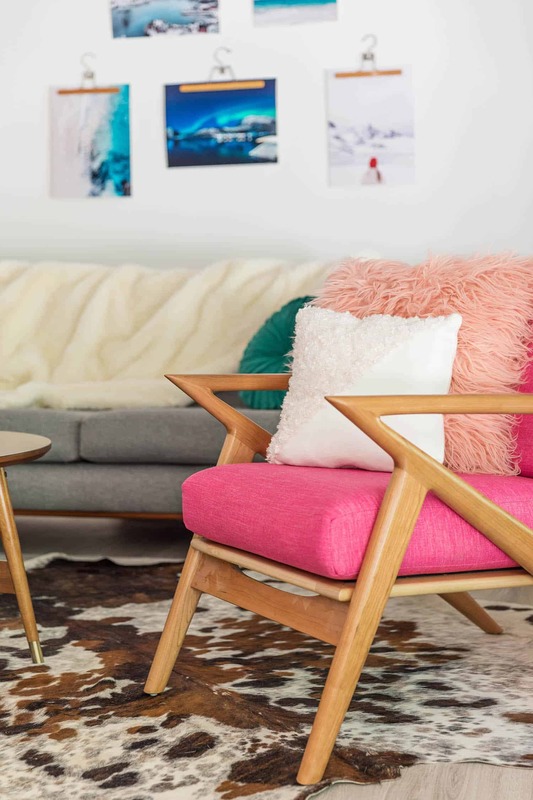 Chair and Couch c/o Joybird. Photos edited with A Color Story Desktop. These pillows are so cute! 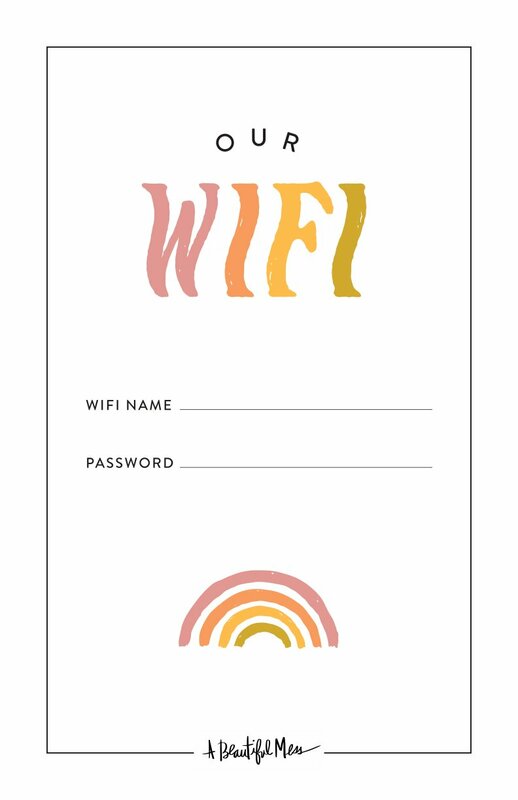 I can’t wait to make some for my home! Perfect timing! I’ve been looking for pillow covers for a couch in my nursery. I already have the inserts and can’t believe how difficult it’s been to find a source for ONLY the pillow cover – most stores sell the cover+insert together. Why didn’t I think of just sewing my own?! Thanks for the inspiration! So pretty. I really need to buy some needle and thread. Never thought that it would be so easy, it looks so good! I’m confused about one thing. In the photo for step 5, the zipper stitches show and looks like the zipper was stitched/attached to the outside fabric for the pillow. In the following photo, the final zipper photo, the stitches aren’t there. Was the zipper only stitched to the seam allowance? A trick of the lens? Making throw pillows with my daughter is one of our favorite projects when we use her kids sewing machine together. 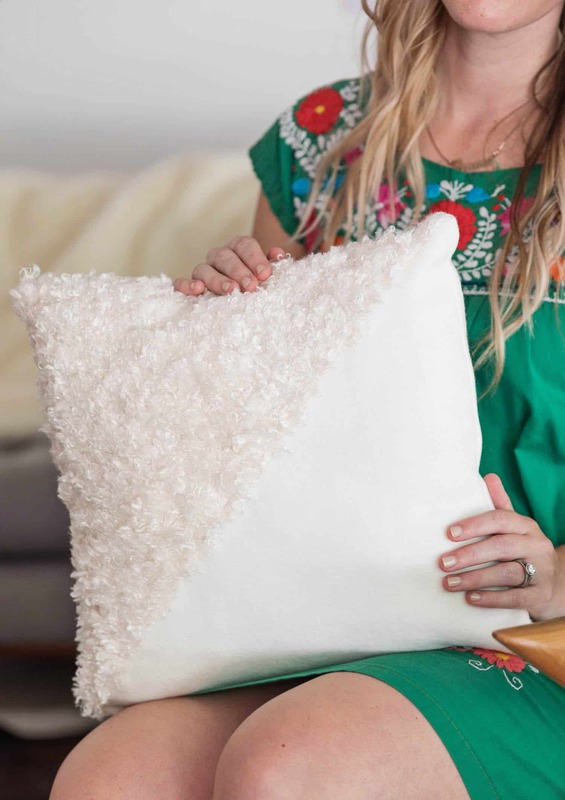 Not only is it a fairly easy sewing project for kids, but we love how it spices up the rooms of our house, just by having a couple of new throw pillows for decoration! These instructions are great! The pictures really help. About a month ago I decided I wanted to make a zippered pillow. Long story short, it took my entire family six hours and some yelling to complete it. HA! Next time I get the hankering to make a zippered pillow, I will stop here first and print out this tutoral. These napkins are beautiful! They remind me of Nigerian Indigo dyed cloth. I spent some time in Oshogbo, where they have the Nike School of traditional Nigerian crafts.